After millions of fan votes and plenty of media speculation, the AL and NL rosters were released yesterday. While they were largely devoid of major surprises, there are no shortage of interesting storylines to follow in the buildup to the Midsummer Classic next week in Miami. Twenty-three. That’s how many players are going to their first all-star game, between the starters, pitchers, and reserves for both squads. The American League even has six all-star rookies in their starting lineup; the National League, in comparison, has just one (Zack Cozart at SS). Many of the first-time all-stars are part of baseball’s burgeoning youth movement. Aaron Judge and Carlos Correa are both starting for the AL, and both could well be the top players of this generation at their respective positions. The Astros’ powerful lead-off man George Springer also makes his first all-star appearance. Cleveland’s young third baseman Jose Ramirez gets a well-deserved starting spot at the hot corner. Gary Sanchez, Michael Conforto, Miguel Sano, and Cody Bellinger all make the all-star game as reserves as well. The youth movement will be well-represented in Miami next week. But what’s more interesting is the veterans making their first all-star appearance. 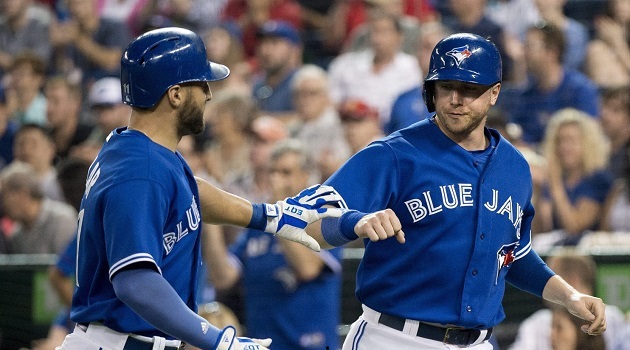 In a league with Eric Hosmer, Miguel Cabrera, and Jose Abreu at first base, it’ll be Justin Smoak representing the American League, his first all-star game in ten seasons. Smoak may not go down in history as a stellar first baseman (indeed, he was often seen as below-average in his days as a Mariner), but on the merits of this season alone he deserves to start. With an average above .300 and a slugging percentage approaching .600, Smoak has become a poster-boy for the new ideas of swing elevation that have come to dominate the game. #SmoaktheVote? You bet they did. Much the same could be said about Zack Cozart, who’s midway through a career year in Cincinnati. Cozart beat out young studs at his position like Corey Seager, Trea Turner, and Addison Russell, and for good reason; who doesn’t want to see Joey Votto buy Cozart a donkey? Youth may be taking over the game of baseball, but one of the best parts of the sport is seeing old(er) dogs learn new tricks to improve their game. The award for most competitive position this season goes to first base in the National League, and it’s not even close. Ryan Zimmerman will start in Miami, but a case could be made for FIVE other players to play the position in the Midsummer Classic. Paul Goldschmidt has a speed/power combination better than any first baseman in the game right now. Joey Votto has had his best ever first half to a season. Mark Reynolds has over 60 RBI and took first base away from Ian Desmond in Colorado. Justin Bour has had a great season in Miami, improving his plate discipline while not sacrificing any power. There’s even an outside argument to be made for Freddie Freeman, who was dominating the league before fracturing his wrist on a HBP. Goldschmidt and Votto are already in as reserves, and Bour and Reynolds are in contention for the final spot through fan voting, but that leaves out Freeman, Anthony Rizzo, Eric Thames, and more. 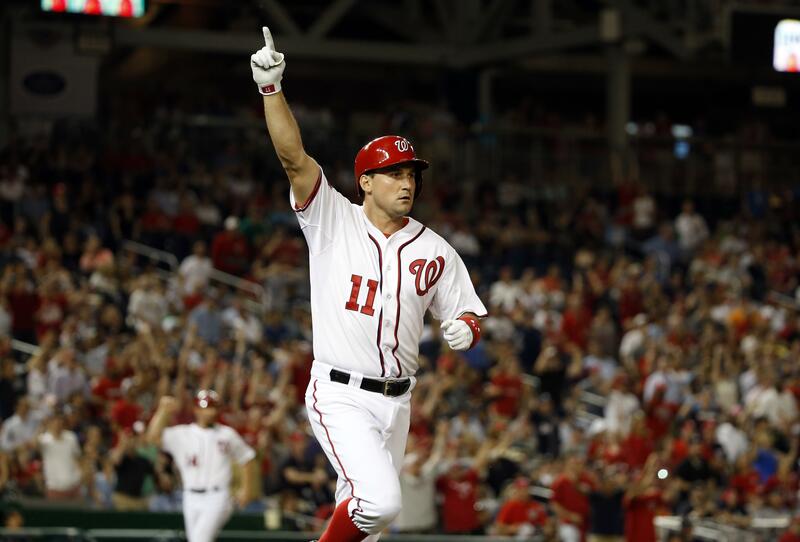 That’s right, Zimm – you are number one. In comparison, the American League has Justin Smoak, Yonder Alonso, and potentially Logan Morrison. Yeah, the National League has the edge at first base. Last year, the eventual-World Series Champions Chicago Cubs had five players on the NL roster, with Jon Lester and Jake Arrieta on the bump and Anthony Rizzo, Addison Russell, and eventual MVP Kris Bryant in the field. This year, it’s a completely different story. None of the five players who got all-star accolades last year are going to Miami this year. The only Cubs player receiving all-star accolades is shut-down closer Wade Davis, who has yet to blow a save in 16 opportunities. No one in Chicago will really care about the lack of all-stars if the team starts to pick up its play in the second half of the season and makes another run in October. But the lack of all-stars in Wrigleyville makes it easy to argue that the 2017 Cubs are a very different team than the curse-breakers of last year. 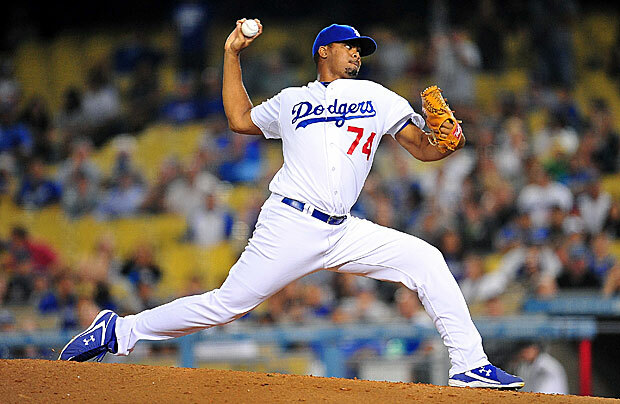 Jansen throwing heat on and off the mound. Jansen does have a point; the all-star game is a great celebration of the game, but as I wrote earlier it’s little more than a popularity contest. If fans don’t vote, deserving players don’t get all-star honors. However, calling out your own fans for neglect and laziness is not going to endear yourself to anyone. As we learned last week from the rapid rise-and-fall of Miguel Montero, even if you have a point sometime’s its best to just shut up. American League: SS Elvis Andrus (Rangers), SS Xander Bogaerts (Red Sox), SS Didi Gregorius (Yankees), 1B Logan Morrison (Rays), 3B Mike Moustakas (Royals). National League: 1B Justin Bour (Marlins), 3B Kris Bryant (Cubs), 3B Anthony Rendon (Nationals), 1B Mark Reynolds (Rockies), 3B Justin Turner (Dodgers). There’s little to separate the American League contenders. Bogaerts probably stands the best chance out of the three shortstops with the backing power of the Red Sox fanbase, and he would be a respectable choice. Moustakas has had a recent power surge for the Royals, but my choice for the last spot is Logan Morrison. The guy has 24 homers – only Aaron Judge has more. Sure, home runs aren’t everything, and Bogaerts’ .314 average is impressive. But Morrison has a higher WAR, and deserves to get recognized for a career year; he gets my vote. 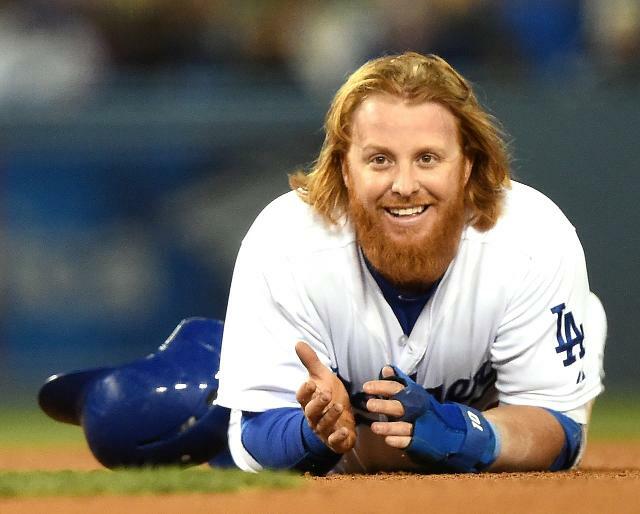 The National League is a no-brainer; Justin Turner should be in Miami. He leads all MLB with a .382 average — and no, that’s not a typo. Since his return from injury he’s also found his power stroke, elevating his slugging percentage to .557. It would be a shame if Turner doesn’t get his first all-star nod.